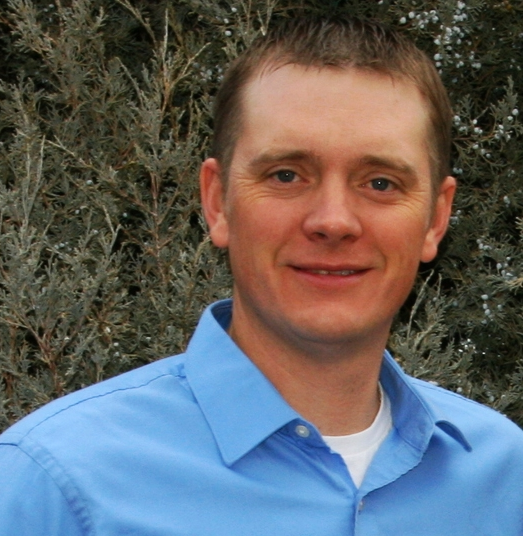 Dr. Moses is responsible for all aspects of the daily operations of Absaroka, including client development, project management, human resources, health and safety, and general accounting and finances. Dr. Moses integrates program directors, project managers, and staff to quickly respond to client needs and deliver cost effective, value added solutions to the client. Dr. Moses is a published paleontologist and licensed Professional Geologist (WY PG 3873). He has extensive experience in paleontological resource management throughout the western United States and has conducted all phases and technical aspects (including project management and budgeting) of paleontological resource projects for oil & gas exploration and development, mining development, utility corridors, water resource development, and federal agencies. Projects have ranged in size and scope from several hundred acres to over 96,000 acres. Dr. Moses has also conducted onsite geology, heavy mineral exploration, and geologic mapping throughout Wyoming, western South Dakota, and northwestern Colorado. He has extensive experience in upstream oil & gas environmental permitting and compliance, including SPCC inspections and plan development, APD packages, NEPA, air compliance, equipment inventories, environmental site characterizations, soil sampling, spill reports, remediation plans, geotechnical investigations, and due diligence (ESA) investigations for asset acquisitions and divestitures (Phase I and II). Mr. Shoup is responsible for supporting clients within the Oil and Gas Client Sector throughout North America, with a major emphasis in the Rocky Mountain and Great Plains Regions. In this role, Mr. Shoup has successfully managed turn-key business solutions for oil and gas operations, from initial planning, through development and production, to asset retirement. With over 18 years of consulting experience, Mr. Shoup has managed over five-hundred oil and gas exploration, development, production, transmission, asset transactions and remediation projects throughout numerous basins in the Midwest, southern plains, Gulf Coast and western United States. Mr. Shoup has been responsible for coordinating and directing an interdisciplinary team of resource experts within Absaroka to support all phases of the oil and gas asset lifecycle including planning, assessment, design, permitting, development, production, enhanced recovery optimization, remediation, restoration and final closure. Prior to joining Absaroka, Mr. Shoup’s roles with previous employers have included Vice President of Client Development for a large international environmental consutling firm, exploration geologist for solid and fluid mineral resources, and managing field implementation aspects for investigation, design and remediation at one of the largest Superfund sites in the U.S. located in northwest Montana. Mr. Fantaskey is an established environmental professional and industry-respected leader with extensive experience in pipeline inspection services. With nearly a decade of professional experience in project management, crew management, client development, and service delivery, he leverages a deep pool of highly qualified CWI, NACE and environmental inspectors to efficiently meet our clients' objectives. Mr. Fantaskey drives rapid response, effective communication, a culture of safety and team building to ensure that our clients' compliance objectives with applicable Federal and State regulations are achieved, while maintaining demanding construction schedules and budgets. He maintains inspection teams comprised of highly qualified, experienced and professional personnel to drive our clients' success from routine pipeline construction projects to complex operations with significant regulatory challenges.